The MP3 audio format has become a standard for listening to music on computers or portable devices. Since there is a lot of music available in a number of different audio formats, saving your audio files in MP3 is the best way to ensure compatibility with all you music players. Fortunately, All2MP3 for Mac is one of the best audio to MP3 converter software which has the ability to batch convert audio to MP3 on Mac with faster speed and top output quality. 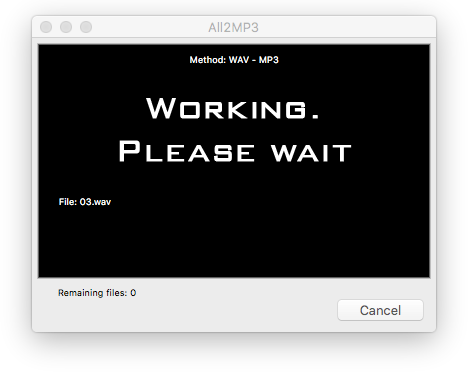 All2MP3 for Mac enables users to convert audio to MP3 on Mac without hassle while it supports any video formats as well . The batch conversion is fast and the output sound quality is fully customizable. 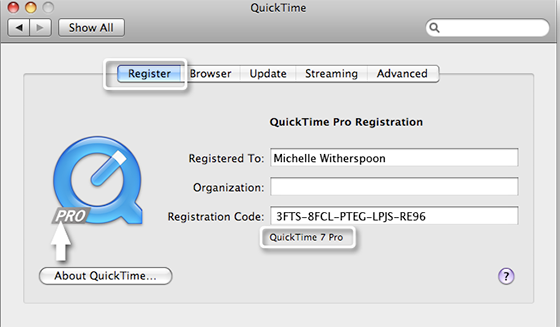 QuickTime is an extensible multimedia framework powered by Apple Inc., which has the feature of handling various formats of digital video, picture, sound, panoramic images, and interactivity. Music files in other audio formats can be saved to MP3 quickly and efficiently when using Apple’s free QuickTime player. 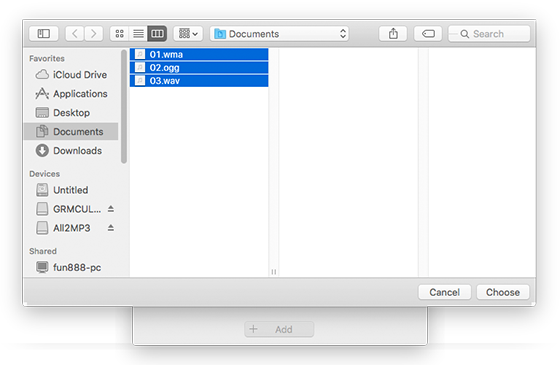 Since QuickTime is compatible with both Windows and Mac OS X, it is quite popular. 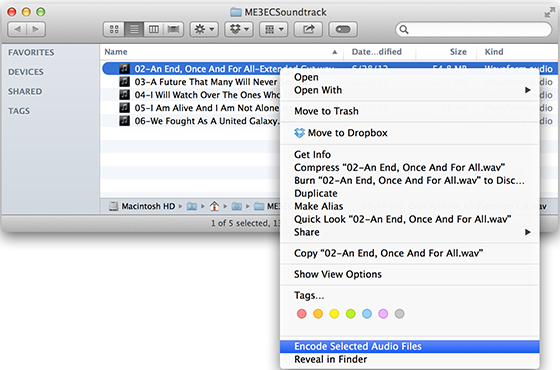 There are several options to convert audio to MP3 on Mac OS X, but OS X also includes an audio converter built into Finder. First you should be noted that this method has some limitations compared to other audio converters. It can only accept AIFF, AIFC, Sd2f, CAFF, or WAVE files and can only output to four AAC presets. However, these presets cover a range of uses and should accommodate most Mac users who manage their music in AAC formats. As we know, command line contains a few tools for working with your music files. Although this option is powerful, it is the most complicated of the bunch. You may even don’t attempt to go into all the details on how it works because you don’t know them all! You can specify all sorts of options to control the input and output formats, such as “mp4f” -d “aac@44100″ /System/Library/Sounds/Basso.aiff ~/Desktop/basso_converted.mp4”.